At around 6.00 a.m. the day of gathering, Guai Shu Shu was browsing the internet searching for a recipe of Sarawak Laksa paste. He is delighted to have found Recipe A and Recipe B (will explain in detail towards the end of the post). Based on these two recipes, Guai Shu Shu head towards Geylang Serai Market in Singapore to purchase the necessary ingredients. 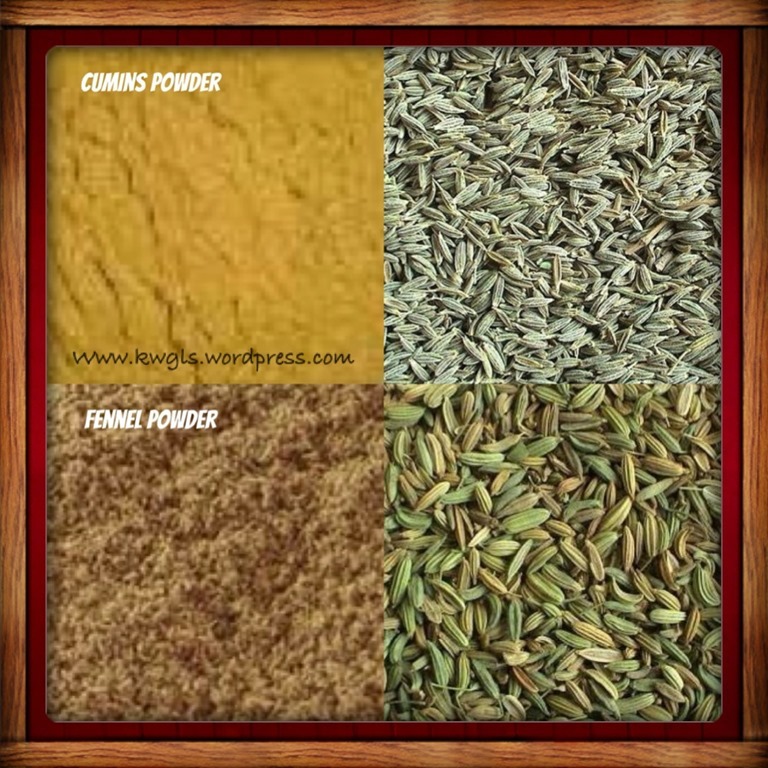 Guai Shu Shu stopped by a store owned by one rather friendly Indian Muslim woman and told her that he wanted various types of spice powders. He asked her for a piece of paper and jotted down a list of all the ingredients in the recipe’s original units and he asked the woman to give him the powder equivalent of these raw ingredients. To my surprise, she was also not sure of such equivalents. 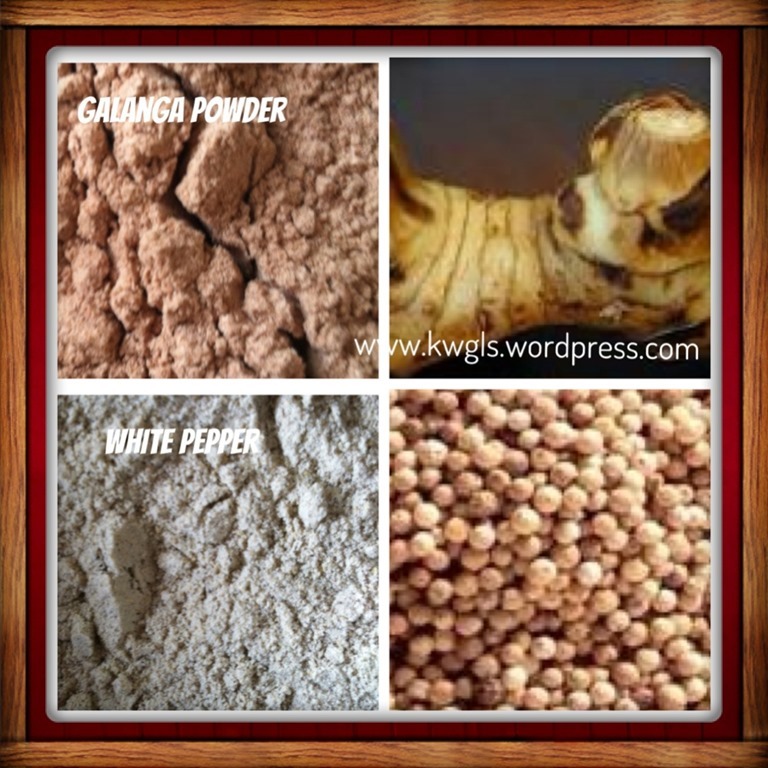 (For example, the powder equivalent of 2 cm of fresh galangal). After she glanced through his list, she took out some small plastic bags and asked him to decide himself how much powder he wanted. She would ask, “SGD 50 cents of galangal powder, enough for you? You want more? SGD1 is like this much?”. Guai Shu Shu knew that he had no choice but to decide for himself. Therefore, since nobody knew the equivalent units, he made the decision not to follow the recipe exactly. 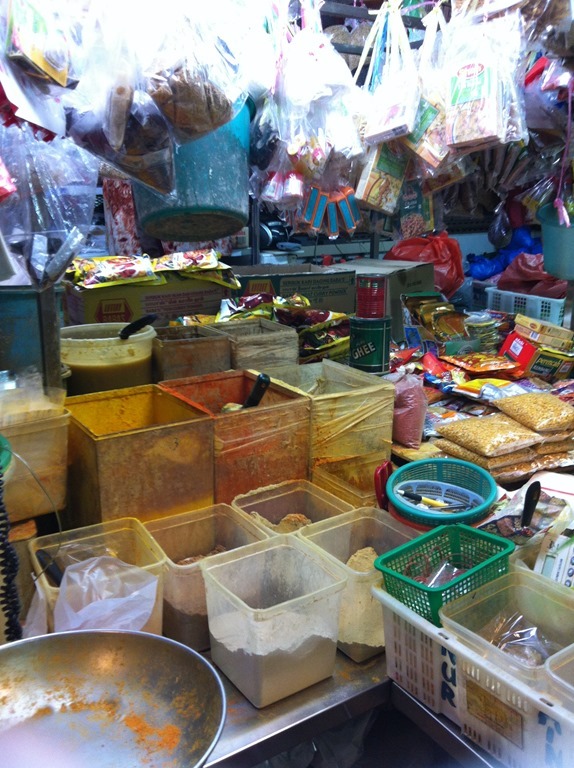 Based on his understanding of spices, he bought about 10 spices ranging from SGD50 cents-SGD2 each. When he told her that he wanted SGD50cents of clove powder, she looked at him and said, “Encik, clover powder is very expensive, SGD50cents is around 1 teaspoon only!! !” She is kind enough to label for him all the powders he bought. When the list was completed, Guai Shu Shu started to go through with the woman the other type of powders in the containers that is not in his first lists, and he ended buying almost all the powders that she sold except turmeric powder (actually, this is the yellowish curry powder that differentiates Sarawak Laksa from curry laksa). 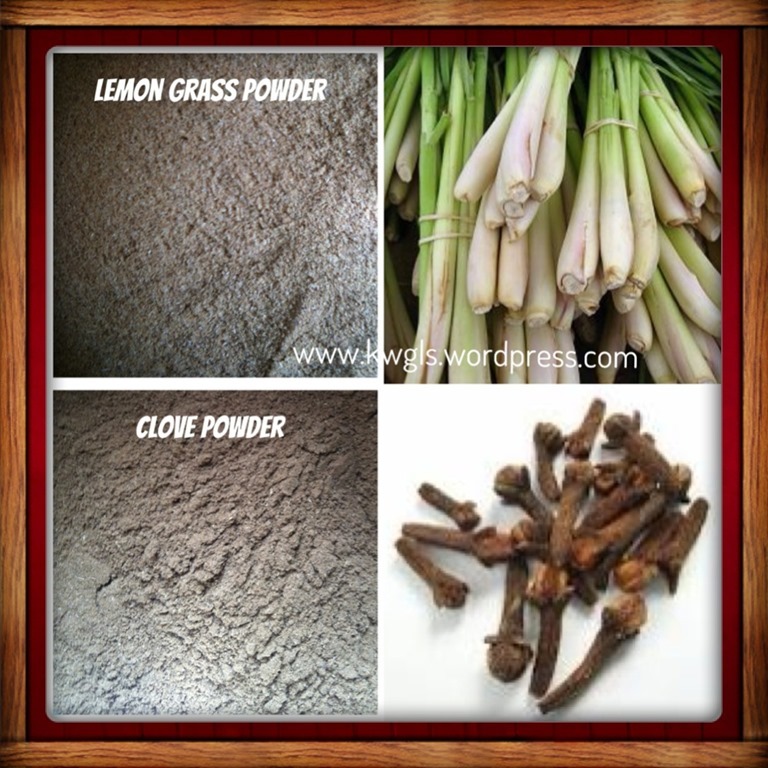 He really enjoyed the process of buying the spices, the woman is helpful and most of important of all, he never knew that there were such things as lemon grass powders, galangal powders, lemon grass powders… and not to mention belachan powder readily available in the market. All the recipes in the internet will only state units like cloves of garlic, pieces of dry chilli, number of candle nuts, cm of belachan and etc. He had cut short his preparation process by using the raw ingredients in its powder form. This had saved him a lot of time. The only thing that she don’t have was the shallot powder and Guai Shu Shu have had prepared his own shallot paste by pounding the fresh shallots. After marketing all the necessary ingredients, Guai Shu Shu told his wife (who is also a Sarawakian) that he wanted to make his own laksa paste, she looked at him at disbelief and just said to him, “You better don’t “main-main”(Malay word of play)!” meaning she did not trust him and what would happen if he was not successful! Since Guai Shu Shu had bought all the ingredients,he was determined wanting to make the paste, otherwise the ingredients would be of no use to him. 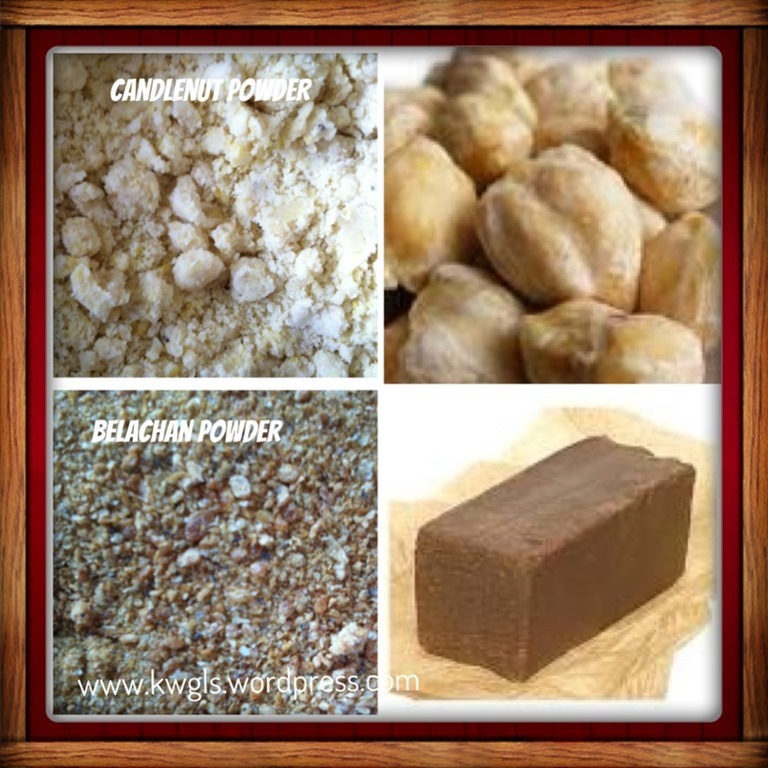 The following are the ingredients that Guai Shu Shu have bought. 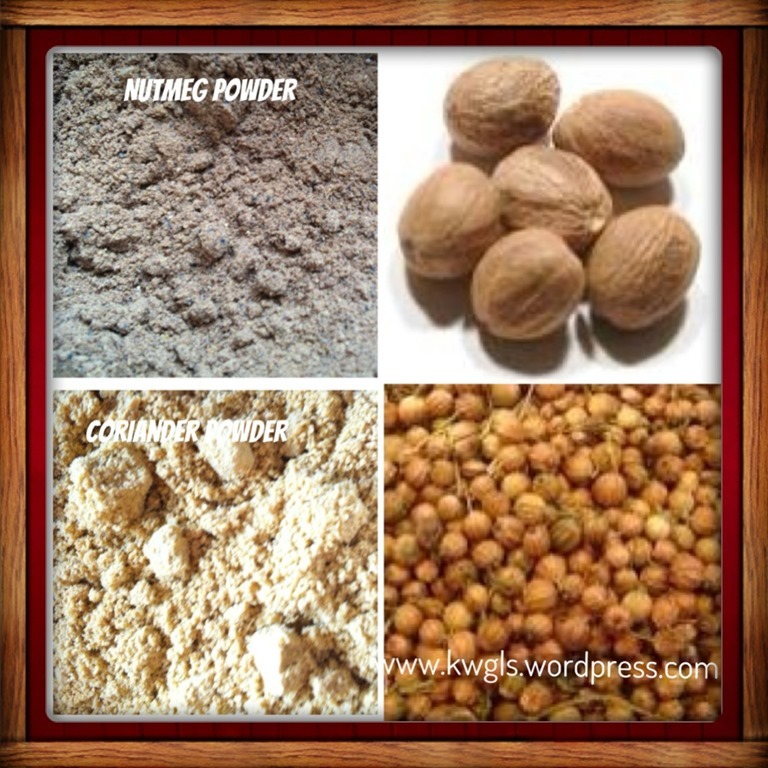 The picture on the right of each picture is the raw ingredients for the reader’s reference. As neither the sales lady nor Guai Shu Shu actually measured the ingredients, these quantities are estimated quantities based on his memories and will serve as references. A more meaningful comparison will be the ratios of each ingredient and an analysis will be done to reconfirm the ratios of the ingredients. Overall, there are about 19 raw ingredients comprising about 1.0kg of dry powders and 850g of wet ingredients, Actually, this pretty closed to the 20 ingredients that Tan had mentioned above and there are a few items that were not included in my recipe above. These were star anise powder and cardamom powder. Therefore, this recipe should be pretty closed to Tan’s family recipe. 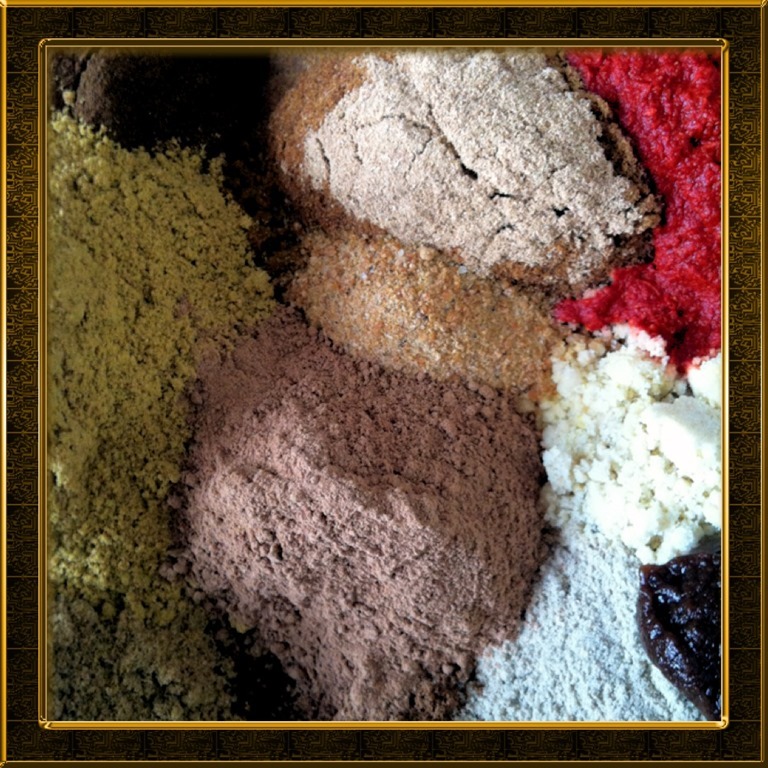 THE GAMES BEGAN – MIXING THE DRY INGREDIENTS…. Pour the ginger and garlic paste into a big mixing bowl followed by the remaining wet ingredients, namely shallot paste, chilli paste and tamarind paste. Start mixing the ingredients and make sure that all the ingredients were well mixed. 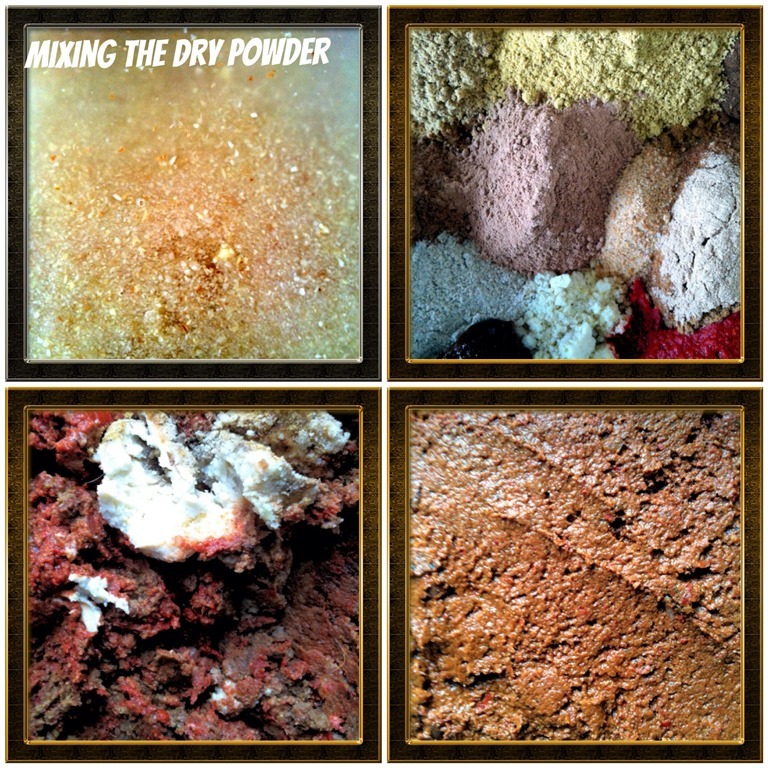 If you find that the mixture is too dry, add in some plain water until the final mixture resemble a paste as in the 4th picture. 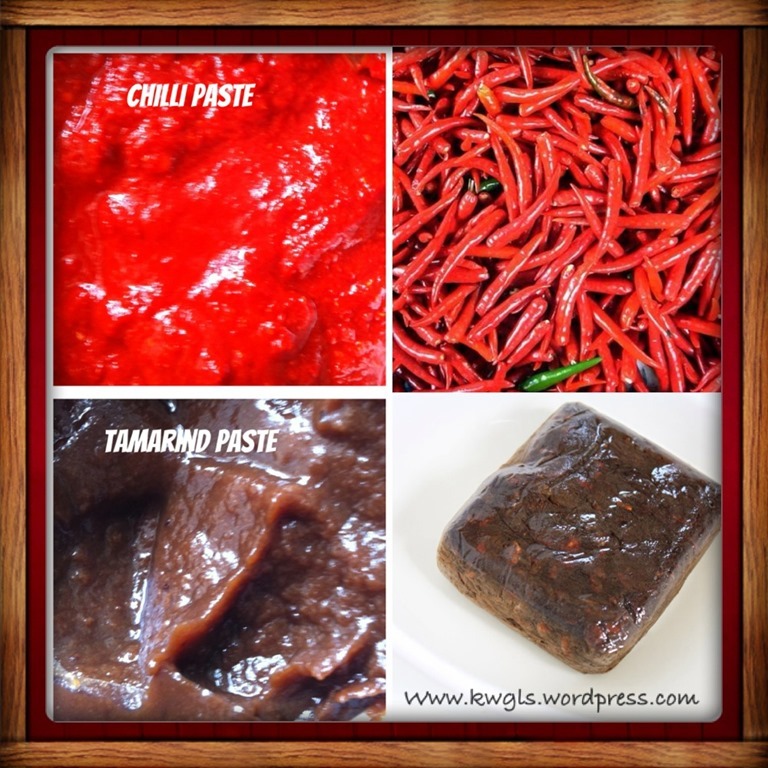 Once the color of the ingredients is consistent, the paste is ready for the next step. The third picture was after 1o minutes of frying. Note the oil color had changed to orange and the paste had started to change its color too. By this time, you should begin to smell the aroma from some cooked spices..
Cook for at least another 20 minutes or until the ingredients begin to separate from the oil. 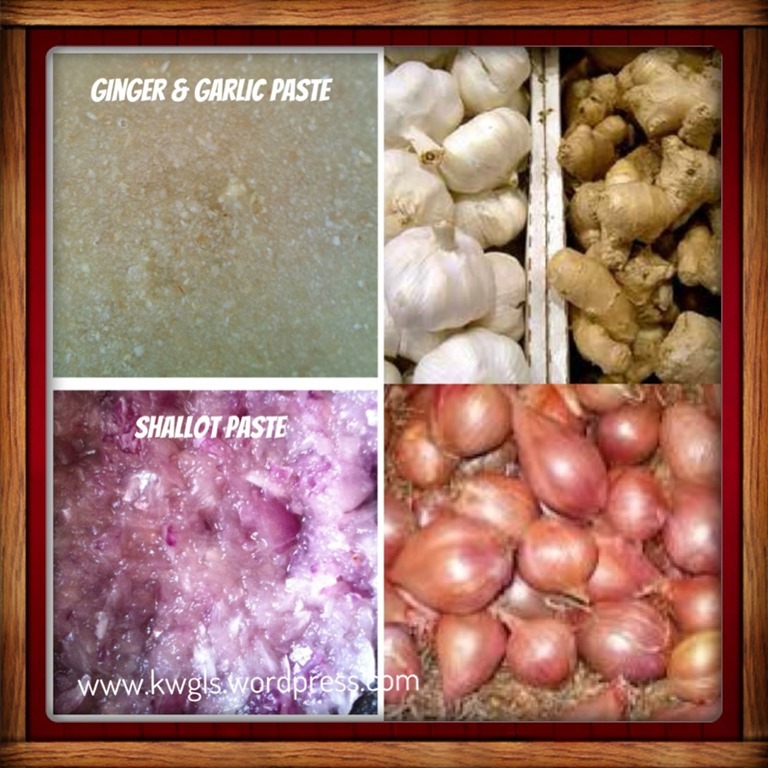 When the temperature is high, the moisture contents in the paste will boil and evaporated. Therefore, as you are using the same amount of oil to cook the dry ingredients, the excess oil will start seeping out of the mixture when there were less and less moisture. 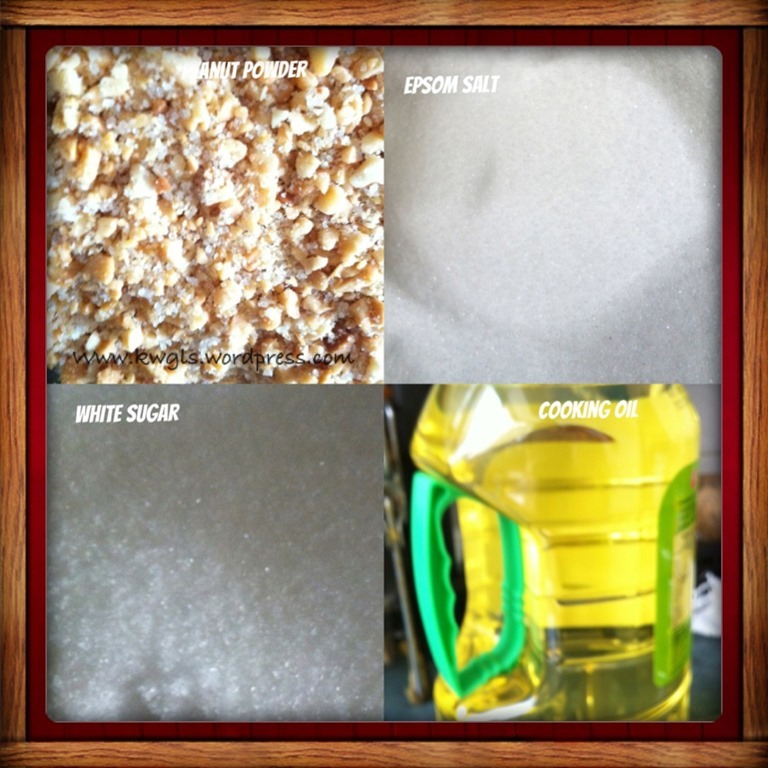 When the color started to turn brownish, add in the sugar, salt to taste and peanut powder. Note that you may not be able to correctly add in the right quantity of salt at this point the time, but that is perfectly okay because you can adjust it when you cooked the laksa soup. However, for sugar, the role is not really to act as condiment but more to “color” the paste to the dark brownish colors. As Guai Shu Shu have used fresh chilli, the color of his pastes were rather bright. Most recipes use dry chili and if you used dry chilli, the color will be darker and you can see chili flakes in your pastes. Fried for about 5-10 minutes until all you sugar start have melted and caramelized. Off the fire and if possible, let it stand for a night before cooking it. The fragrance will be stronger and more oils will be excreted. It took at least 45 minutes to properly cook this paste. MY FINAL PRODUCTS AND A BRIEF ANALYSIS..
Texture – The ready-made paste was much softer with more liquid in it. All the ingredients were very fine. His version was slightly harder but once it was boiled in the soup it dissolved in the soup. 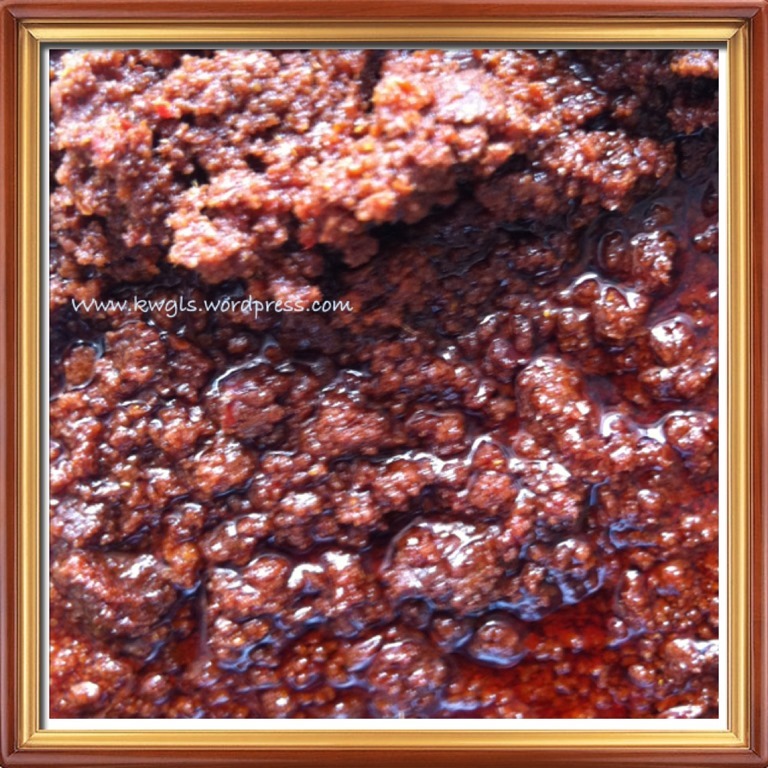 The harder texture of his paste was attributed to higher heat used to cook the ingredients initially. Once they lost the moisture content too fast, they will start to form small chunks. Therefore, the heat should not be too high and it takes patience to do this. As this is the first time he cooked this manually, the consistency will definitely cannot be compared with those pastes made by the machines. Fragrance – He concluded that the taste was quite close to the ready-made paste and he gave himself about 80/100. His classmates who have eaten the laksa have no major complaints about the taste. Of course, the taste can be further improved by trial and error like what Tan’s family have done initially. On the day following his gathering, he continued to search for Sarawak Laksa paste in the internet and jotted down the ingredients of each recipe. In fact, there were not many recipes over the net and goggling “Sarawak Laksa paste recipe” shows only 1,250 results and most of them were not actually recipes but users asking for the recipe. However, he had managed to to get hold of about 6 recipes, and the most complete recipe should be the recipe published by 3hungrytummies in November 2011 with the title “Secret of Sarawak Laksa Paste Revealed” (Note: this is Recipe A that I have mentioned at the beginning of the post”). Surprisingly, this recipe was published by 3 guys residing in Melbourne and testing out the paste overseas. Is it possible that because they could not get the ready-made paste, they have to depend on their own to make their paste. They were diligently enough using all the raw ingredients but Guai Shu Shu have opted to use ingredients in its intermediary form mostly powder and paste. The must-have ingredients for the laksa paste are shallots, garlics, candlenuts, galangal, lemon grass and corainder seeds. The statement that “Sarawak Laksa Paste required more than 20 herbs and spices to produce” is valid and acceptable. 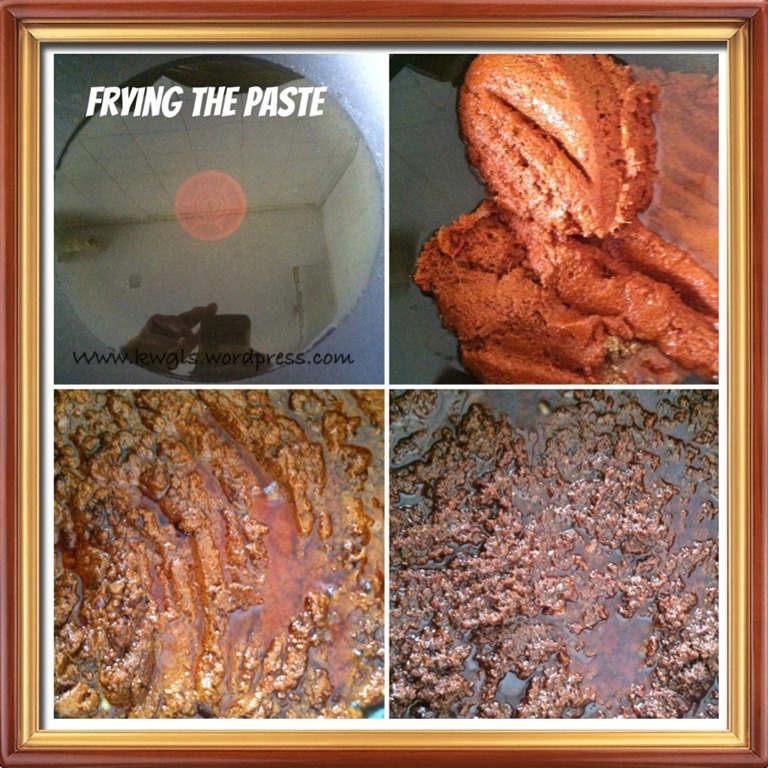 It can be rather time-consuming to make the paste specifically in the process of frying/cooking where only low to medium heat can be used to cook the paste. In addition, assembly of all the ingredients can also be a tedious process. Guai Shu Shu will continue to test his own laksa recipe. In the event that they are new findings, it will definitely be shared with readers. It is hoped that readers can also try the above recipe and feedback to me. The final post of this short series will focus on the preparation of Sarawak Laksa. This entry was posted in Creative Food Series, Dish, Food Preparation Series and tagged 10 laksa, Creative Food Series, Food Preparation Series, laksa paste, malaysia, Sarawak laksa, singapore. Bookmark the permalink. Working hard and really a very graphical presentations. Thanks thanks thanks! Thanks for dropping by! Just trying my best to do something for our beloved cuisines ! Hai …i have tried this laksa swk paste at home..very delicious..the herbs are very nice to smell. but it doesnt look ‘BLACK’…i was keep on thinking why it doesnt turn to black in colour?can u give some comment about the ‘blacky’..fyi,i tried for the 2nd time and author some part of yr igredients,that is 25gm bijan,50gm chilly,50gm belachan n extra corriander/ketumbar i put 300gm..the shallot/wet ingred n chilly was frying separately.after the shallots well cook n the oil sinking on the top of the shallot,then i pour onto the ‘herbs’/dry ingredients,the taste of my method seems to be much more frangrance,closed to blacky colour (due to extra ketumbar (maybe)..if u try my method (frying the dry herbs 1st),u can see the paste of the herbs turn to ‘almost black’..my 1st trial dark red colour..i think this is the secret why the paste sold in market is black. sorry my english is very poor..kindly reply tq. Are you using dry chilli. I am thinking that they might fry the dry chilli first to make it look dark because you look at the ready made paste, the dark colour are mostly chilli flakes! tq for yr immediate reply.i did try for the 3rd time,i’ll let u know what is my ‘found’ later. maybe we can share it as a new DNA of LS paste.the smell almost closed with those sold in the market. 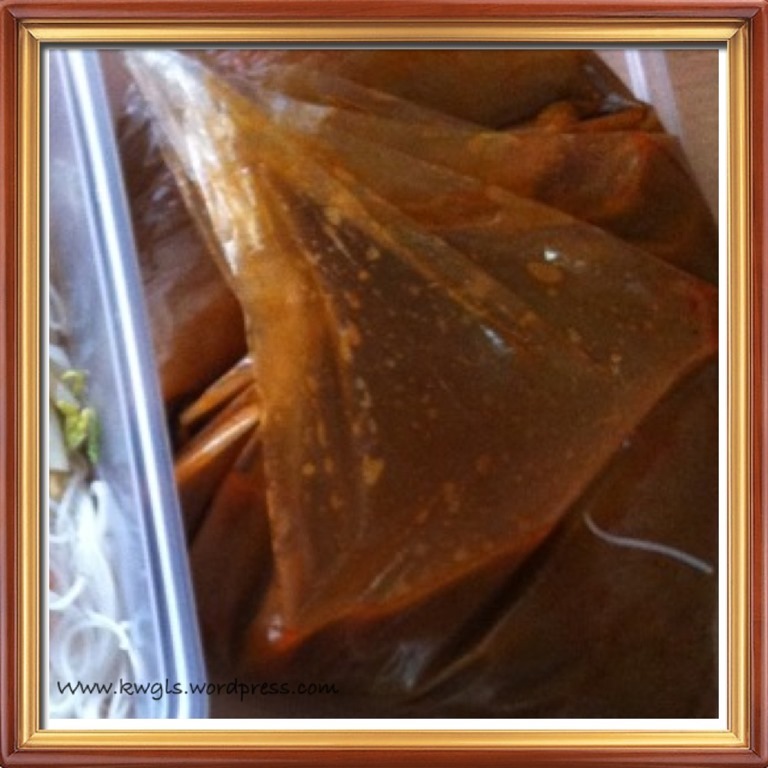 Ken, the original recipe came from a chinese imigrant from Indonesia who later crossed boarder to Kuching. He was quite old then and before he left for China, he gave the recipe to two ladies. She continued the laksa paste but the other lady, now over 91 years, lost her recipe. We called her Ah Sum, fat cantonese lady. Was told in later years that she gave or sold the recipe to the infamous swallow brand. The ultimate reference for sarawak laksa enthusiast. Well done. Absolutely well done. Did you ever find out how to make your laksa turn into black color ? I am totally unsure but I do believe that it may be due to the stir frying of the spices until dark brownish.